1964 Ferrari GTO by David Lawson. 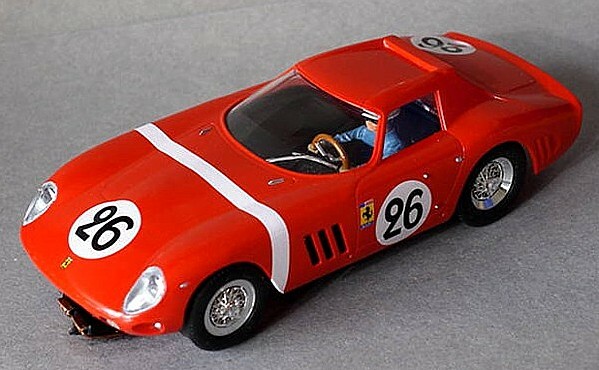 The MRRC re-issue of the Monogram GTO. This has always been one of my favorite slotcars. The kit was built by David Lawson.